Do you need any travel insurance policy? We are partnered with many travel insurance companies and can provide you a very affordable travel insurance policy. Provide us details like the nature of your tour, your budget, age group etc! We are headquartered in Nagpur, Maharashtra and can provide you a travel insurance policy that best matches your needs. The policies provided by us include assistance for emergencies such as personal accident, loss of baggage, delay in baggage arrival, loss of passport, travel delay, repatriation etc. 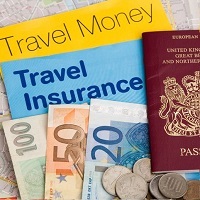 We charge a very reasonable fee for our Travel Insurance Services!